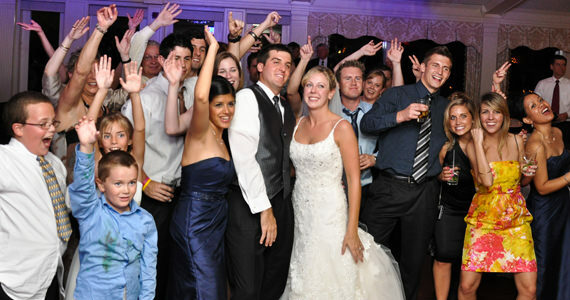 On Saturday June 19th 2010 we were at the Oakmont Country Club in Oakmont Pennsylvania. The event was a wedding reception for Brian and Lee Stecko. Brian and Lee were married at 3:00 PM at the St. Bernadette Catholic Church in Monroeville PA. Guests began arriving to the Oakmont Country Club at 5:00 PM where they enjoyed cocktails and appetizers on the outdoor patio. At 6:00 PM we formally introduced the bridal party to “I Gotta Feeling” by Black Eyed Peas. We then introduced Brian and Lee to “OMG” by Usher. After the introduction, Lee and Brian cut their wedding cake to “The Promise” by When In Rome. Dinner was prepared by the culinary staff at the Oakmont Country Club and was served sit down style. After dinner, we invited the newlyweds to share in their first dance together as husband and wife to “Can’t Help Falling In Love” by Elvis Presley. Lee and Brian then danced with the bridal party to “The Way You Look Tonight” by Michael Buble. Lee then requested a special dance with her father, Mr. Dave Boes to “Unforgettable” by Nat King Cole and Natalie Cole. 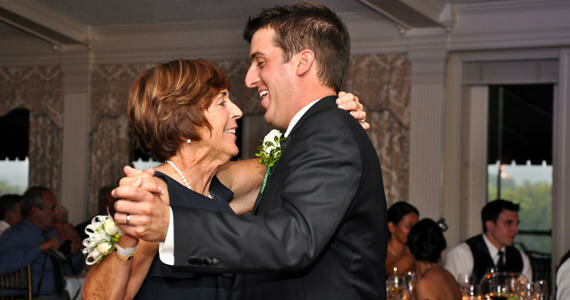 Brian also danced with his mother, Mrs. Risa Stecko to “Just The Way You Are” by Billy Joel. Throughout the reminder of the evening, guests danced to music by Earth, Wind & Fire, Eric Prydz, Daft Punk, Sir Mix-A-Lot, The Village People and more. At 10:30 PM we invited Brian and Lee, along with their guests, to share in the last dance of the evening to “Last Dance” by Donna Summer.